I love meeting new dog breeds. 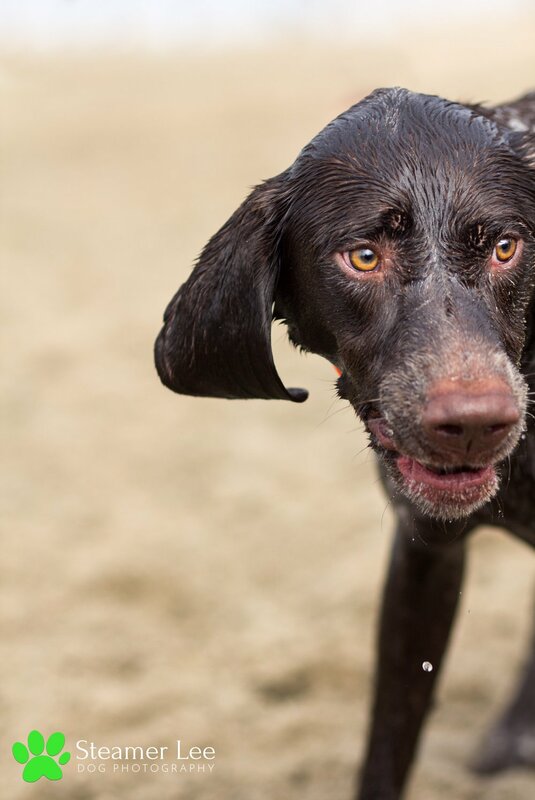 There's such an incredible variety of dog breeds out there, each with their own quirky behavioral tendencies and personalities, and diverse features and colors and sizes. Herding dogs, hound dogs, working dogs, toy dogs, big dogs, small dogs, hunting dogs, companion dogs, service dogs, therapy dogs....so many! When my wife and I were casually thinking about what kind of dog breed we wanted for our home, we made an unofficial list. My wife loves a dog to cuddle with, and I love a dog that can be active outdoors. We love Frenchies, of course. Pugs were on the list (Fenix was a Chihuahua-Pug mix), and my wife is in love with Cavalier King Charles Spaniels with their adorable ears. But then we met Maya. 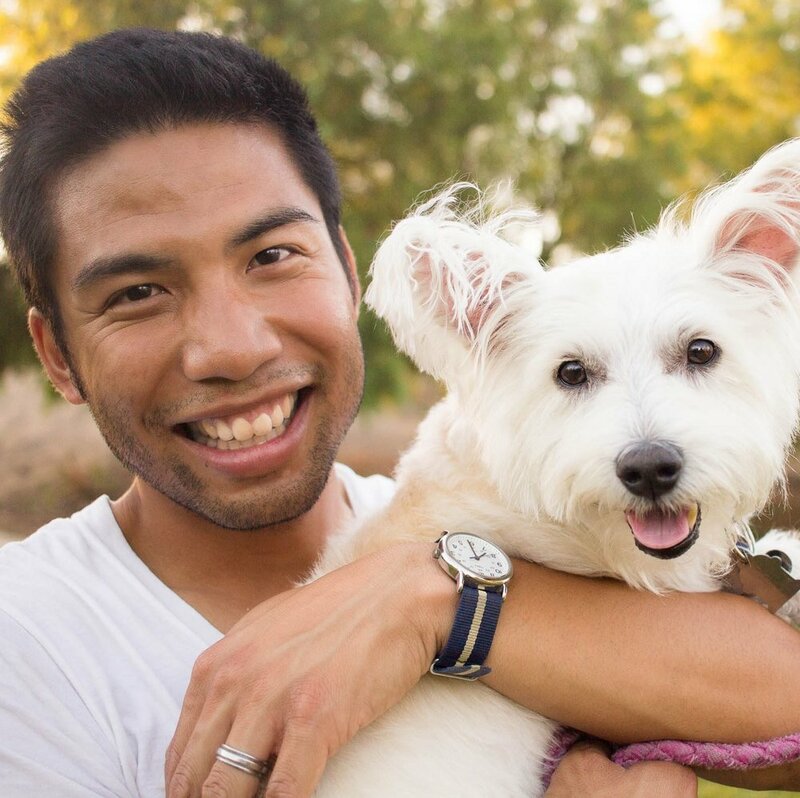 We had no idea and had never heard of the West Highland White Terrier breed ("Westie," for short), until we found out a little 7-years young Maya needed a new home. And this little Westie's affectionate cuddles, playful spirit, and musical howl stole our hearts. Now we're just obsessed with Westies. Whenever we spot another Westie on the road, it's pure joy for us. So I'm always on the hunt to learn about new dog breeds. Maybe I have a hidden goal to photograph all the dog breeds in the world. 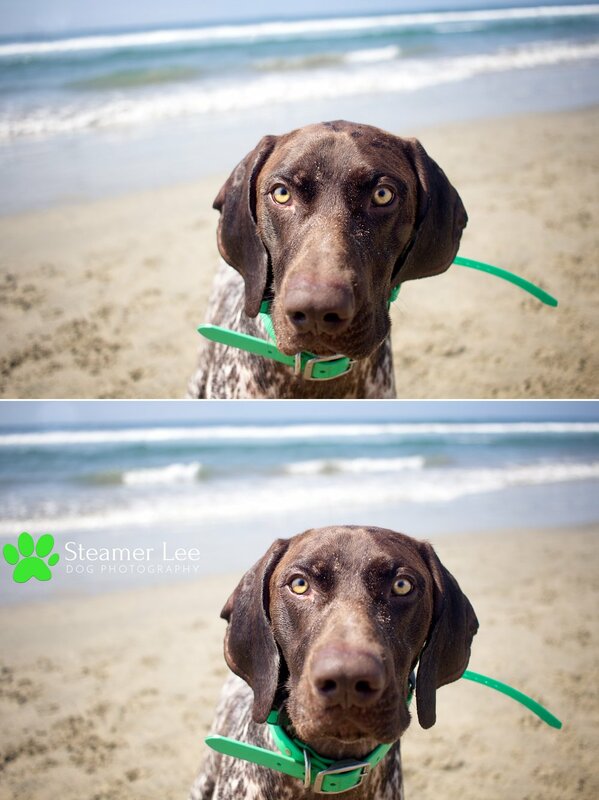 Then I heard about a German Shorthaired Pointer meet-up at Huntington Dog Beach. 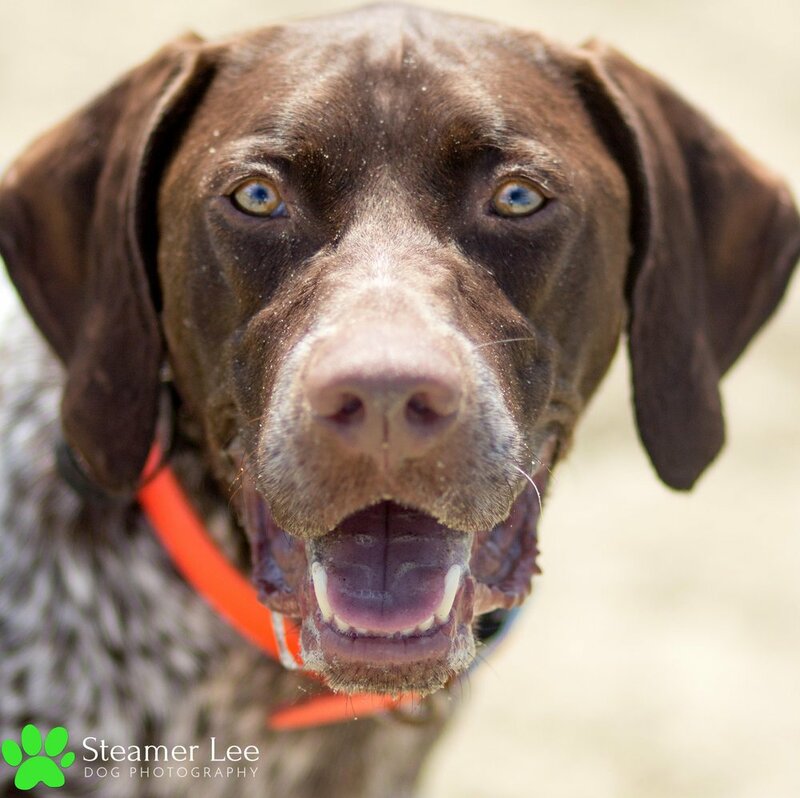 What in the world is a German Shorthaired Pointer?! And why is "Shorthaired" one word instead of hyphenated, "Short-haired?" (I really thought that). I knew what a German Shepherd looked like, but had never, ever heard of a GSP. Interesting side story: When I parked my car for Huntington Dog Beach, I met a man with a large dog that looked like a German Shepherd. We were both paying for our parking meters, and he taught me something new. His dog totally looked like a German Shepherd to me. But no, he told me, this is a Malinoise. A lot of people confuse them with German Shepherds, but if you look at their back, a German Shepherd will round down, while a Malinoise will go up. I had no idea! 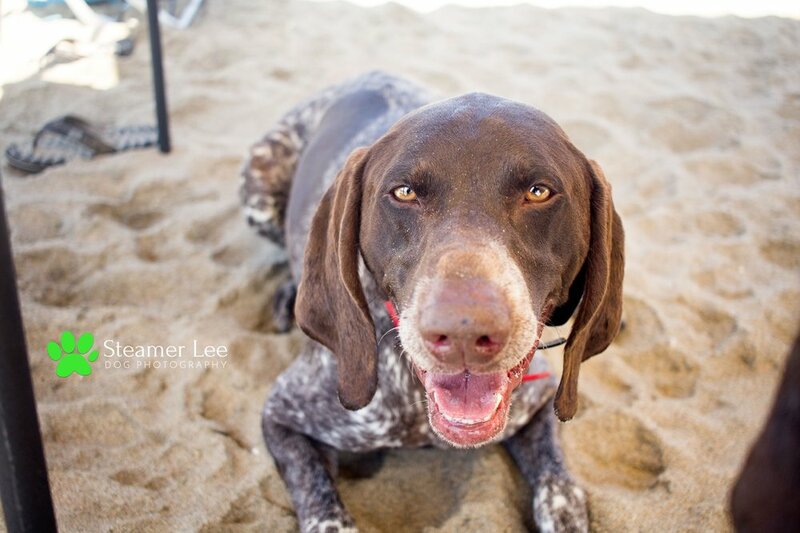 Anyway, I crashed the So Cal German Shorthaired Pointer meetup and everyone welcomed me right away. Dog people at dog meet ups are the friendliest people. And how can you not be? You're at the beach with your dogs, with your friends and their dogs on a beautiful Saturday morning at the beach. Like I said for So Cal Corgi Beach Day, Dogs + Beach = Heaven on earth. And what can I say? These Pointers were OVERFLOWING with energy. I talked to many GSP owners and they all told me that they need about 2 hours of exercise everyday. TWO HOURS! I think the average is 30 mins of walking a day, 40 mins if you're a terrier (I researched this because I wanted to know how much our Westie needed for a walk). The unfortunate downside about GSPs is that most people who adopt them don't recognize how much exercise GSPs need. That's why they're one of the most returned dogs at animal shelters. This made me sad to hear. So I hope if you, or anyone else you know, is considering a GSP, to take into account their enormous need for exercise. The upside is they are phenomenal family dogs. And having seen them up close, they were all so amiable and playful. 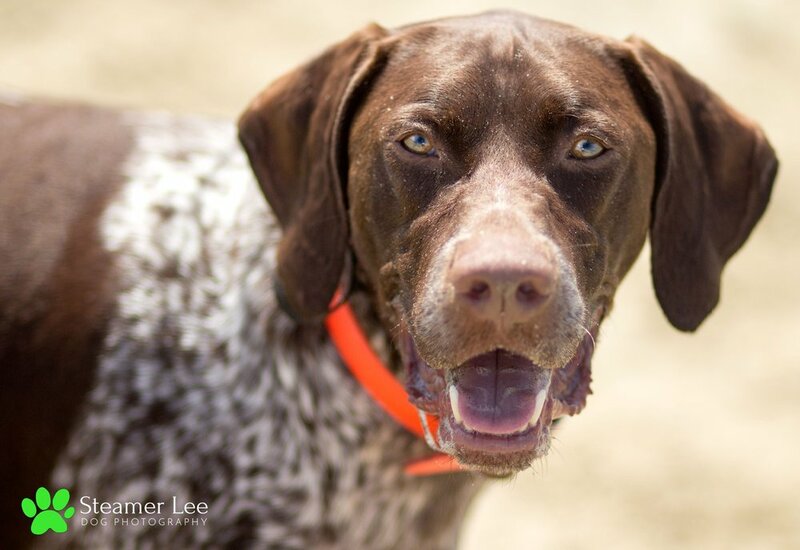 A Pointer, of course, is bred for hunting and helping hunters find game. 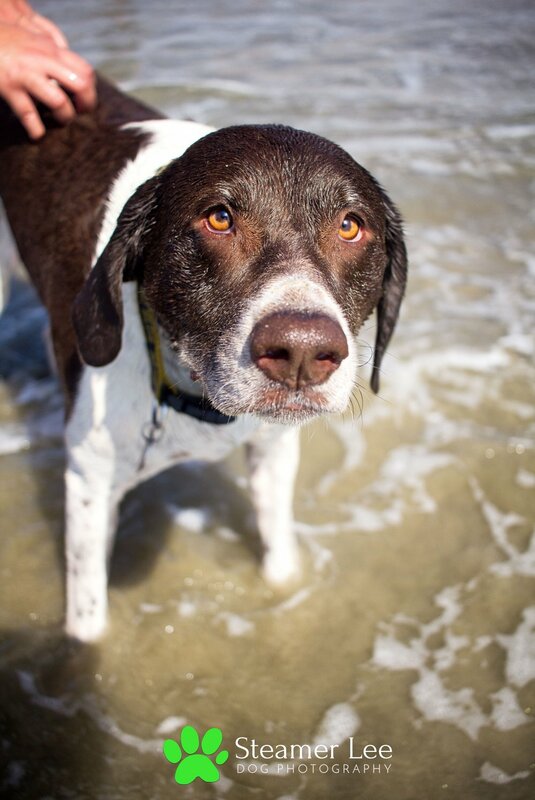 They have webbed paws built for swimming and have sharp perception to notice the slightest movements of birds and squirrels at the beach. In one instance, I was trying to photograph a GSP when suddenly a squirrel caught his attention like 50 feet away from me and then, merely 10 seconds later, a bird flew right by him and off he went after the bird instead. It was so funny to witness how easily distracted he was. One more thing (if you haven't already skimmed these words and jumped right into the photographs), I just want to express a sincere THANK YOU to all you GSP moms and dads for letting me crash your party. 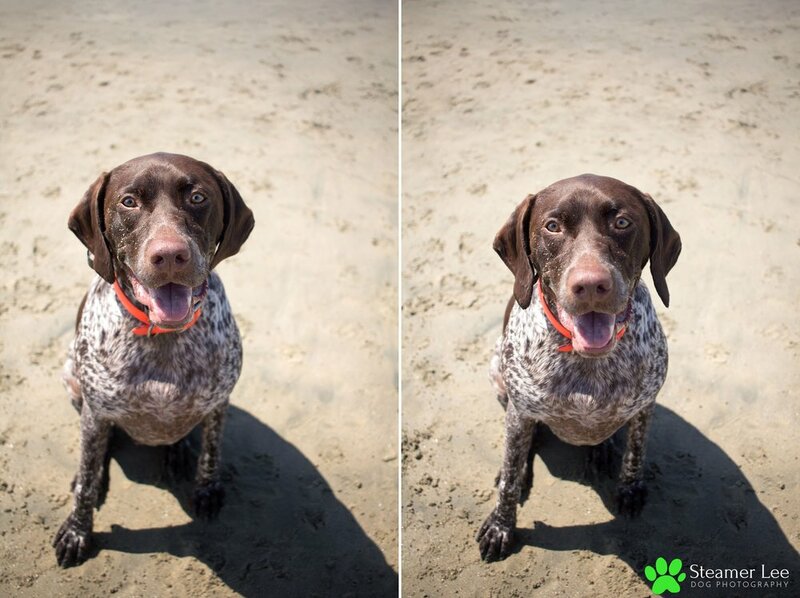 Annie's a beautiful and fun GSP with tons of energy, and gorgeous eyes. Atlas is the first one pictured (lighter coat), and Ajax is the one with the darker coat. They're a rowdy pair, and even their names sounds like a fun title of a buddy cop movie. Peeps was always digging! Anytime I turned my camera toward him, he was digging. Trigger's a handsome boy with a big adorable head you just wanna wrap in your hands. Roxy's a sweet GSP puppy with stunning eyes. 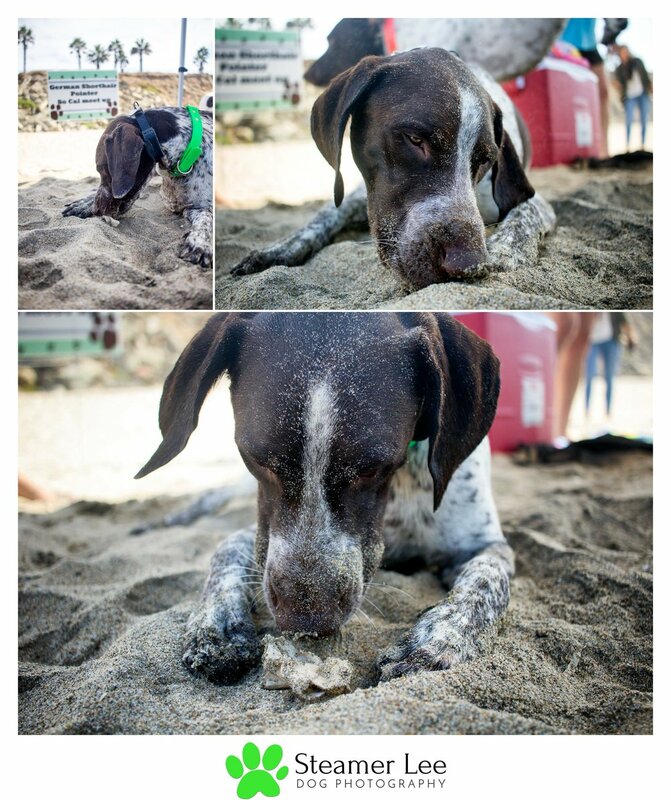 I learned that Bones is a native German Shorthaired Pointer, born in Germany. Little Mila was a sweetheart! While all the other GSPs would be playing around the water, she snuck around to lounge in the warm sun. They called Chevy the social one. 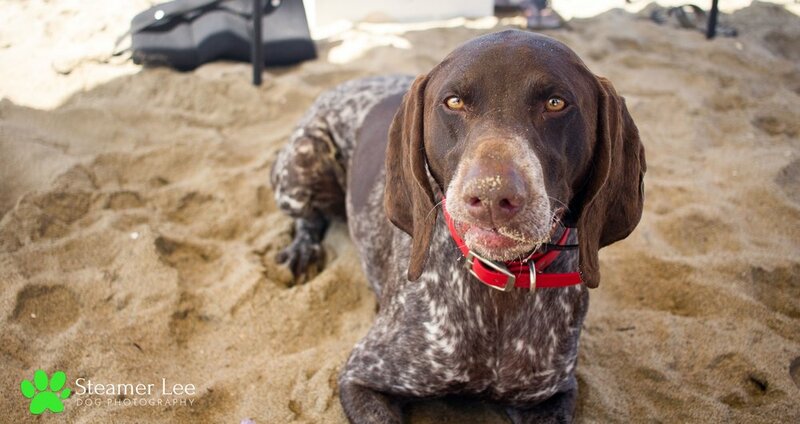 Kona was the sweetest and gentlest German Shorthaired Pointer I met...I mean, look at those eyes! This was Lucille's first time in the water, and you could see her paws naturally paddling away before she even touched the water. And below, she showed us her proud pointing stance. Bella was everywhere! In the sands, in the water, playing with the other GSPs, and then back to the sand, back in the water, and so on. 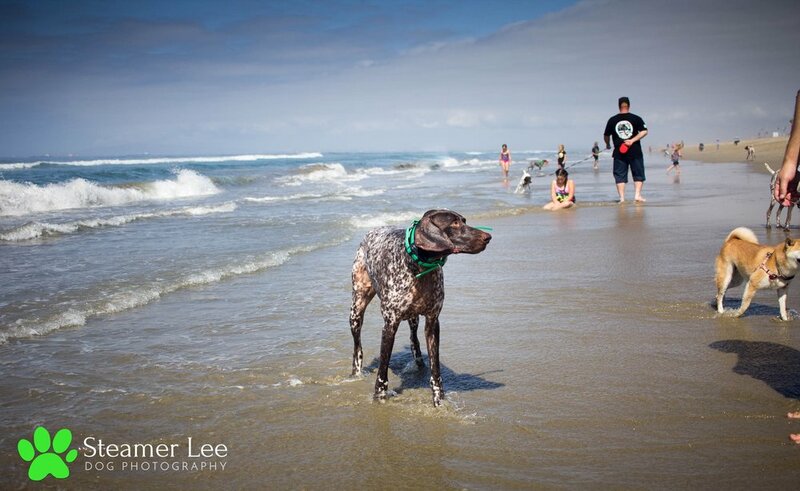 Tucker is a rockstar, and a local Huntington Dog Beach celebrity. Pongo's a stud. Just look at his proud posture. Sophie was the perfect model for the camera. 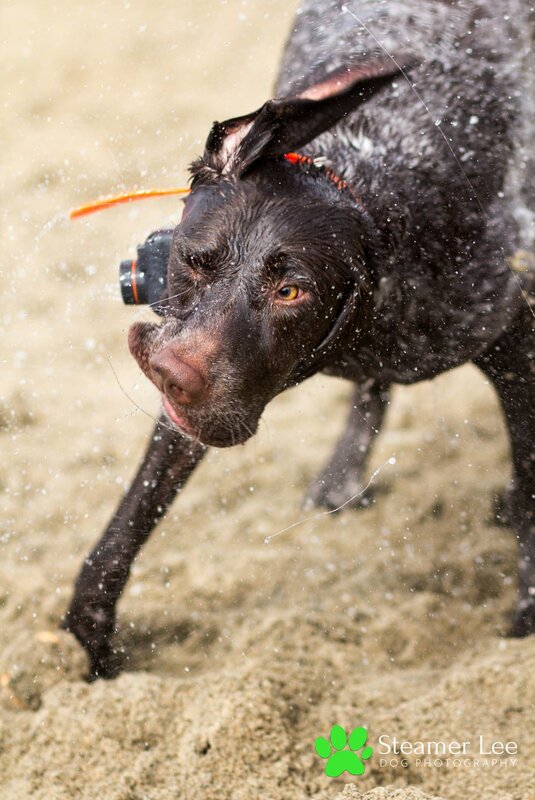 She would look right at me, and stay very still until I threw her favorite ball into the ocean. As you can see, I have no record of Sophie being dry that day. And finally, Hunter. Hunter looked like the alpha dog at the meet up. 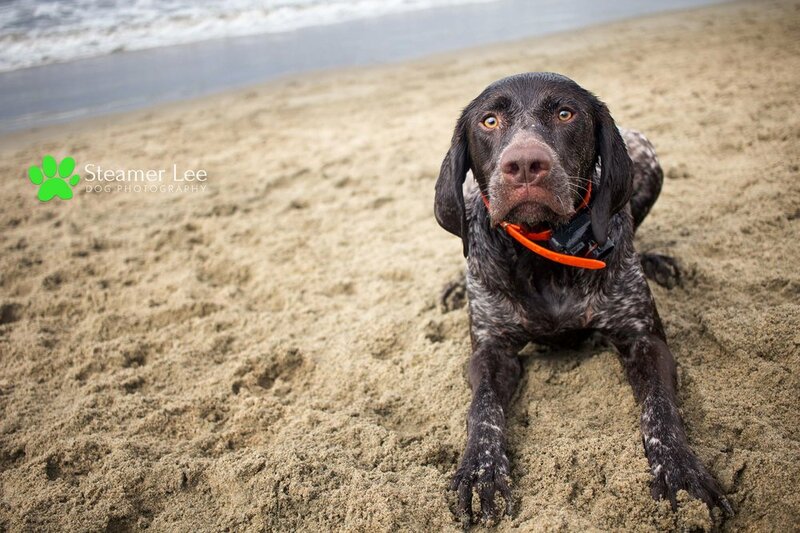 He is larger than the average GSP, confident, and played the part of protector and leader of the pack. While everyone was busy, off playing in the water, his main mission was to look out for the impending attack of the zombie squirrels. I had SO MUCH FUN crashing the GSP meet up. 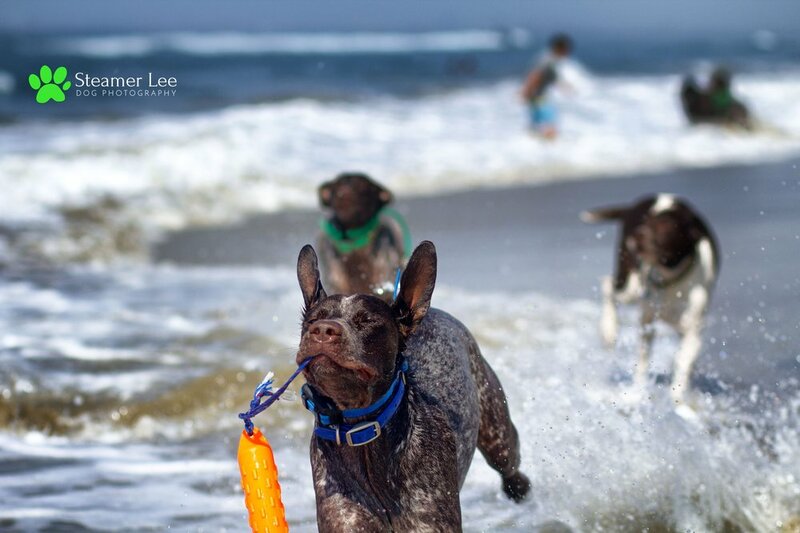 I love photographing dogs outdoors, in their element, where they are the happiest. 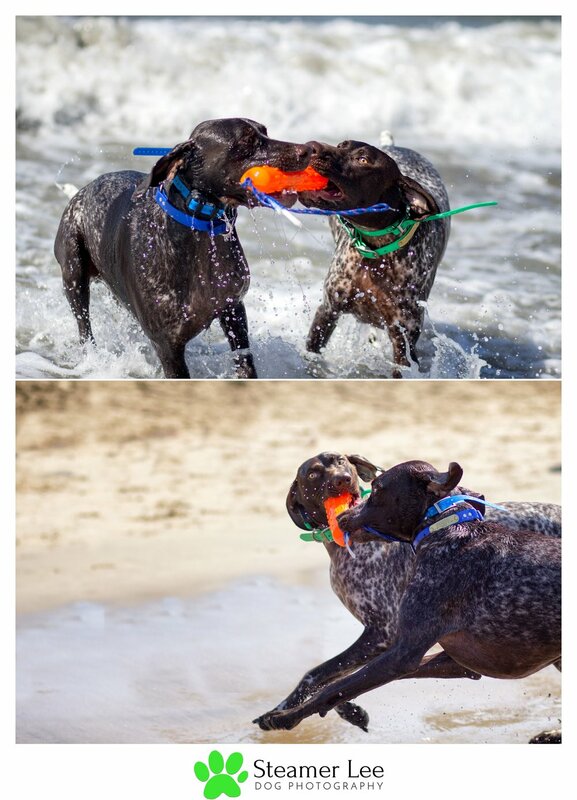 My goal was to just capture them for who they are: playful and athletic dogs, in their element. If you were at the GSP meet up, I made a full gallery for you! There, you may invest in beautiful Paw Prints and Portraits of your fur baby. Click right over here. Click here for more information on Paw prints. 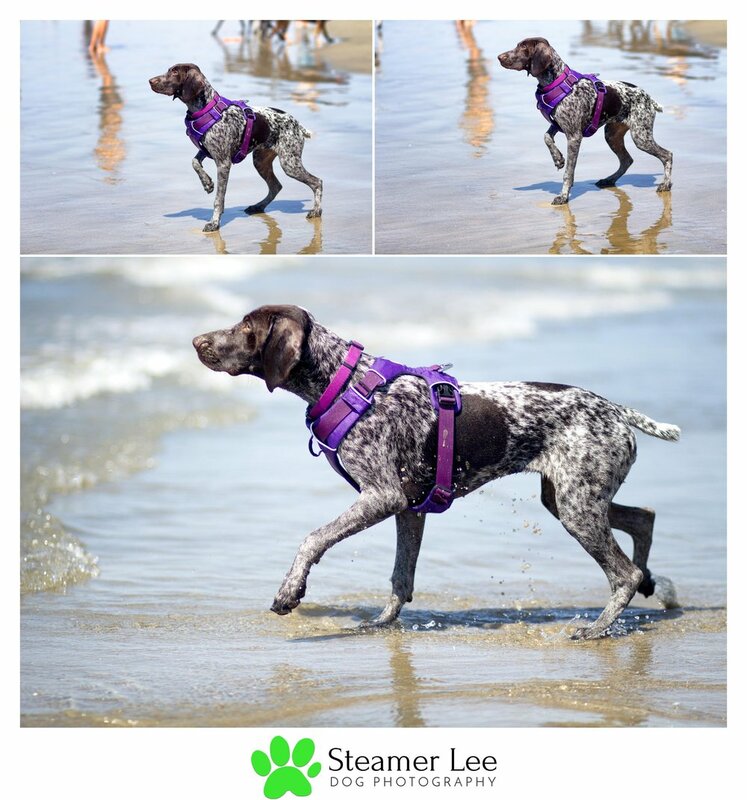 If you live in the Huntington Beach area and would love to invest in professional photographs of your dog, I have an awesome opportunity for you. 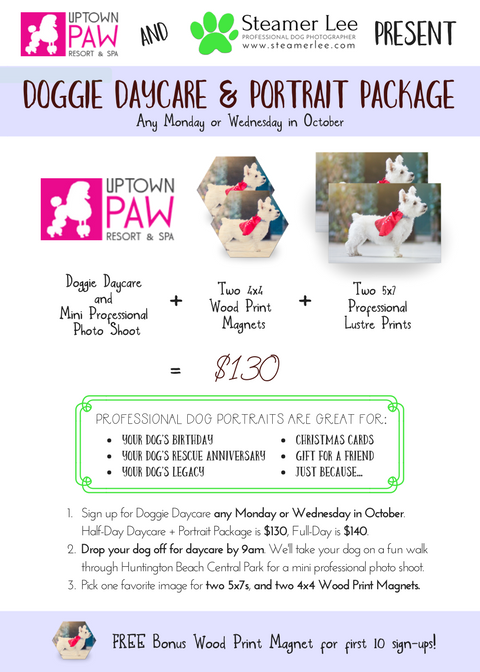 I partnered with my friends at Uptown Paw for a Doggie Daycare + Portraits Package. If you sign your fur-baby up for doggie daycare any Monday or Wednesday in October, we'll take your dog on a walk in Huntington Central Park for a mini professional photo shoot. Click on the image below to see it bigger. If you're interested in the Doggie Daycare & Portrait package, please get in touch. If you're interested in the full private VIP ('Very Important Pet') portrait session experience for your dog, start here. Dogs are family. But it's a hassle trying to take good pictures of them. 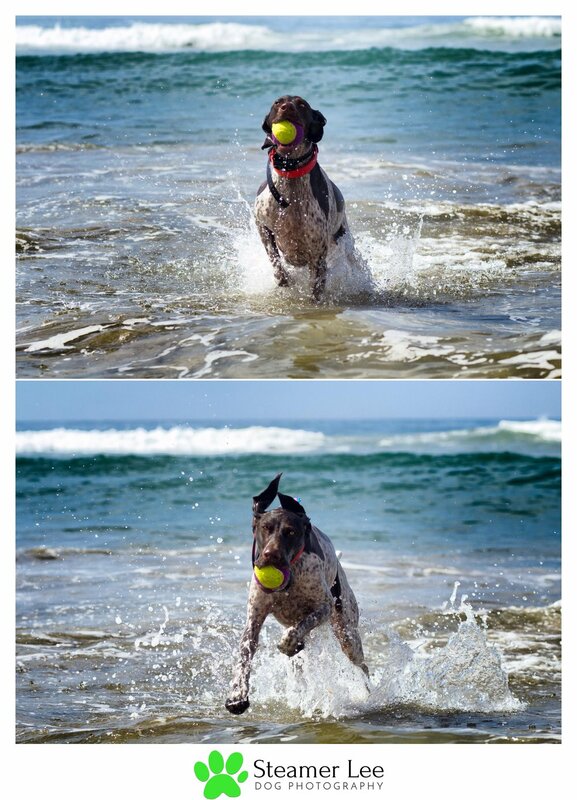 Imagine how your dogs can look with professional dog photography. Dog-parents who invest in professional photography own the most beautiful photos of their dogs that they have ever seen, and their homes feel revitalized with elegant portraits of their furry family member.